← Saturday 15th October Fundraising Events! 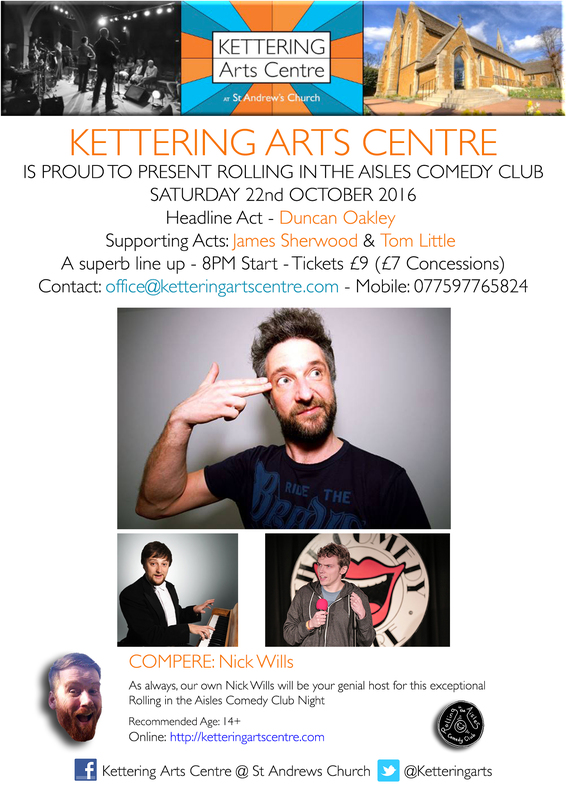 This entry was posted in Comedy, Live Comedy, Music Comedy, Rolling in the Isles Comedy Night, Stand-up Comedy and tagged Comedy, Duncan Oakley, Entertainment, James Sherwood, Kettering, Kettering Arts Centre, Live, Live Show, Nick Wills, Rolling in the Aisles Comedy, Rolling in the Isles Comedy Night, St Andrews Church Kettering UK, Stand Up Comedy, Tom Little, What's on in Kettering. Bookmark the permalink.